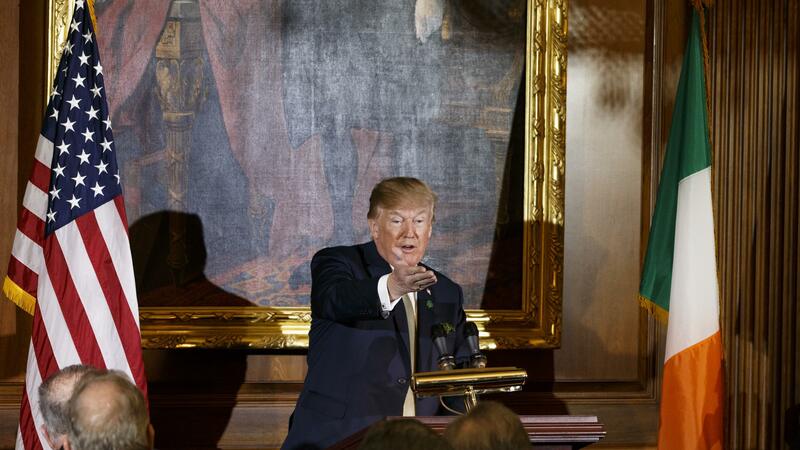 President Trump speaks at an event at the U.S. Capitol on Thursday. On Saturday, the President said the Mueller investigation "should never have been started in that there was no collusion and there was no crime," and Trump's personal lawyer, John Dowd, said the investigation should end. Late Sunday, however, White House Special Counsel Ty Cobb released a statement to the media saying that the "President is not considering or discussing the firing of the Special Counsel, Robert Mueller." "It is not a collusion probe. It is much broader than that," Rubio said. "I remain confident that the special counsel is going to conduct a probe that is fair and thorough and is going to arrive at the truth." "When it comes to Mr. Mueller, he is following the evidence where it takes him and I think it's very important he be allowed to do his job without interference," Graham said. "And there are many Republicans who share my view." And Republican Rep. Trey Gowdy, of South Carolina, told Fox News' Chris Wallace that Dowd should not be advising the President to push Mueller to end the investigation. "If you've done nothing wrong you should want the investigation to be as wholesome and thorough as possible," Gowdy said. Democrats also came out against the notion that Trump could be moving toward finding a way to end the investigation. "The president is floating trial balloons about derailing the Mueller investigation," said Senate Minority Leader Chuck Schumer, D-N.Y. "Our Republican colleagues, particularly the leadership, have an obligation to our country to stand up now and make it clear that firing Mueller is a red line for our democracy that cannot be crossed." Not all lawmakers were convinced, however, that Dowd's statement and Trump's tweets added up to an actual effort to derail the probe. Sen. James Lankford, R-Okla., said on ABC's This Week, "I don't see the president firing [Mueller]. I think the White House has said 10 times, maybe more that they are not going to fire Robert Mueller. "They want him to be able to finish the investigation." On Sunday morning, Trump also said the former deputy director of the FBI, Andrew McCabe, may have been lying when he claimed to have notes about their interactions. McCabe was fired Friday night, by Attorney General Jeff Sessions, less than 48 hours before his planned retirement from the bureau. Sessions said he fired McCabe because the FBI's Office of Professional Responsibility found that he lied under oath "on multiple occasions." In a statement, McCabe claimed his dismissal was politically-motivated and that he had been targeted because "he can corroborate former [FBI] Director [James] Comey's accounts of his discussions with the President." A source familiar with the issue told NPR that McCabe had taken notes and memos about his interactions with President Trump. The notes could play a role as Mueller's team investigates whether Trump obstructed justice in firing Comey last year, when Comey was in charge of the Russia investigation as head of the FBI. The source told NPR that McCabe's notes corroborate Comey's account of events last year, which notably include President Trump asking Comey for loyalty. "Spent very little time with Andrew McCabe, but he never took notes when he was with me," Trump said. "I don't believe he made memos except to help his own agenda, probably at a later date. Same with lying James Comey. Can we call them Fake Memos?" After sending out three tweets on Sunday morning, Trump went to the golf course that bears his name in Sterling, Va.